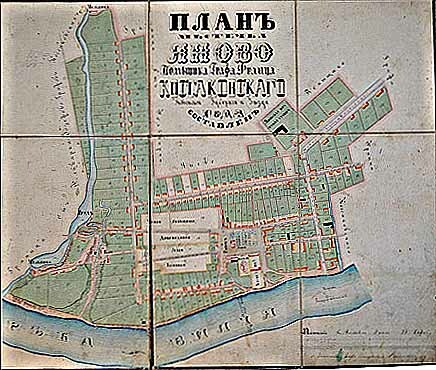 On my trip to Lithuania in June, 2007, Vitalija Gircyte, Chief Archivist of the Kaunas Regional Archives, showed me this map of the Real Estate Owners in Jonava in the mid 1800’s. We know from other tax records that Solomon Isaac owned property in Jonava then. I will be visiting Jonava again in July, 2009. Would you like to come with me? Click here for more information about the trip.